Basis Point (founded in 1996 by David Chin) provides business intelligence and networking opportunities for participants in the investment & financial markets in Australia & Asia. Our clients and sponsors include exchanges in Europe, the US and Asia, prime brokers, private banks, fund trustees & administrators, fund managers, hedge funds, and legal & accountancy firms. They use a combination of our bespoke intelligence reports, directories and targeted networking events to better connect with their clients in order to capture business opportunities. We cover three areas which are increasingly inter-related due to ‘China’s disruption’ as a major supplier of capital in global markets, and as a major trading partner with Australia. David Chin is an authority on Aus-China investments. See below for more information. 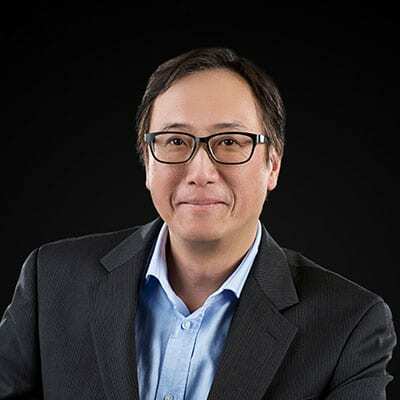 David Chin, Managing Director, Basis Point, established the firm 19 years ago, drawing from his experience across Australia and Asia as a ‘top-down’ or ‘helicopter’ analyst and marketer of the region’s capital flows in derivatives, futures, wealth management, and funds management. He was previously Head of Marketing at Sydney Futures Exchange (SFE) from 1990-1996, reporting to the CEO, and is the author of Thy Fiefdom Comes, a fantasy/science fiction novel. David has become an authority on Aus-China investments, speaking at dozens of events to C-level and managerial executives who seek unique insights on the opportunities and risks of the Aus-China market. He is widely quoted in the media and writes an Aus-China newsletter that is distributed to more than 13,000 executives in Australia, Asia and globally. London headquartered futures exchange which is now owned by ICE (Intercontinental Exchange) and which includes the New York Stock Exchange as part of the group). Provision of intelligence on the Asia Pacific derivatives and futures industry from 1997 to 2013. Chicago headquartered entity tasked with promoting the use of equity options on behalf of the major US options exchanges). Provision of intelligence on the Asia Pacific high-net-worth and investor/trader market in equities and equity options, since 2002. United Nations Conference on Trade and Development). Consultant for UNCTAD and the Forward Markets Commission, (Government of India) on the development of India’s commodity futures industry. Now part of Bursa Malaysia. Consultant on the development of futures contracts. Units of MetalBulletin Plc since sold to Euromoney Plc. Provision of Asia Pacific news & insights.